Brain haemorrhage. 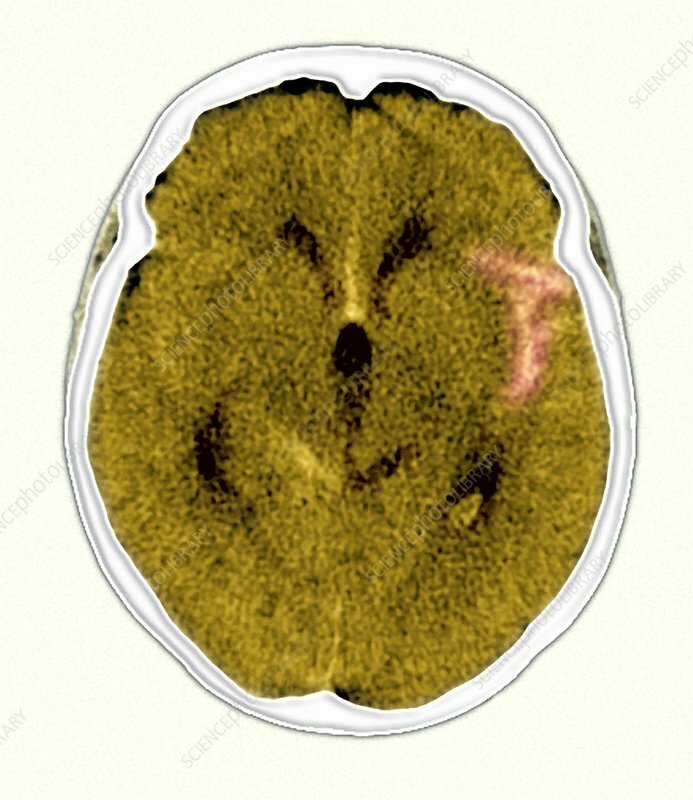 Coloured axial CT (computed tomography) scan through the head of a patient with a brain haemorrhage (orange, upper right). It is a subarachnoid haemorrhage, meaning bleeding has occurred into an area below the arachnoid membrane, the middle of three membranes covering the brain. The blood exerts pressure and can damage the brain. The condition often results from a head injury or the rupture of an aneurysm, a swollen and weakened blood vessel. Treatment usually involves surgical removal of the blood. CT scanning uses X-rays to image body tissues.